THE TREND in short-term lettings in Cyprus is gaining ground in 2019 and in the wider region in countries such as Israel and Greece. Since 2018 there has been a significant increase in the number of properties listed for short-term rent on Airbnb and other rental platforms; the response from tourists is very encouraging and positive. According to statistics from Airbnb, 120,000 visitors from 125 different counties rented properties in Cyprus using their platform in 2017 – 2018 and this number is expected to rise significantly in 2019. However, some hoteliers have voiced concerns that unregulated short-term lettings represent ‘unfair’ competition and have asked for changes to the legislation. Nevertheless, the sharing economy undoubtedly offers numerous benefits to both tourists and Cypriot residents. Since 2008, the real estate market has been affected dramatically by the financial crisis, resulting in a large number of real estate assets remaining unsold for a considerable time, burdening their owners and the banks financially. 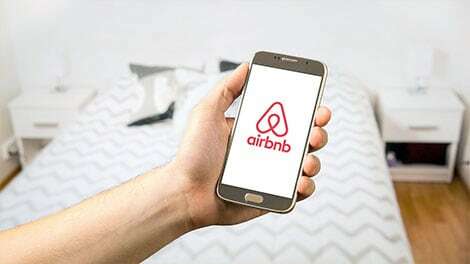 Through global platforms such as Airbnb, HomeAway and Booking.com, owners may rent their properties for short periods, earning income that they would not otherwise get and, at the same time, having a positive effect on the economy and society. The large percentage of non-performing loans in Cyprus is a major problem in the real estate market and owners can benefit from the short-term lettings, helping them to pay their obligations to the bank. Also, a large number of people, from cleaners to taxi drivers, are employed in services that result from short-term lettings, creating new jobs. At the same time, areas of Cyprus that are not very well developed, either in central locations or remote areas, are being upgraded and the local economy is strengthening as tenants spend money in the local services and facilities. It is also noteworthy that tourists using short-term rental accommodation would not choose to stay in hotels or purchase “all inclusive” holiday packages, thereby boosting the local market by choosing places to dine, visit and shop. This new form of rental accommodation helps to increase the number of tourists. According to surveys, tourists who have a specific budget for their holidays, prefer short-term rental properties and visiting areas that without this option they would not choose as their holiday destination. However, if heavy regulations come into effect, such as rent restrictions, undoubtedly the real estate market will be disturbed, and real estate prices will be negatively affected. As a result, demand for real estate will decline, apartments and dwellings will remain empty or will be rented for very low amounts. For tenants, tourists, hoteliers and government to benefit, an appropriate legislative framework must be established that balances opposing interests rather than just one of the parties involved. However, it is acknowledged that those renting will have to adhere to hygiene and safety rules and pay tax to the state (e.g. 9% VAT per stay) – as hoteliers are doing. In conclusion, those renting are required to comply with the law and pay taxes but, at the same time, government needs to promote and encourage innovative property rental practices. New ways of renting property are now part of the modern way of operating the market, offering impressive benefits to tourism. The establishment of an improved legal framework can benefit all parties involved and help boost the Cypriot economy. Excellent article presenting both sides thank you. I would add that ethical owners are already paying income tax and declaring the income. Regulating the industry in terms of properties & facilities having to meet certain standards e.g health & safety, fire protection etc would be beneficial for all parties involved.